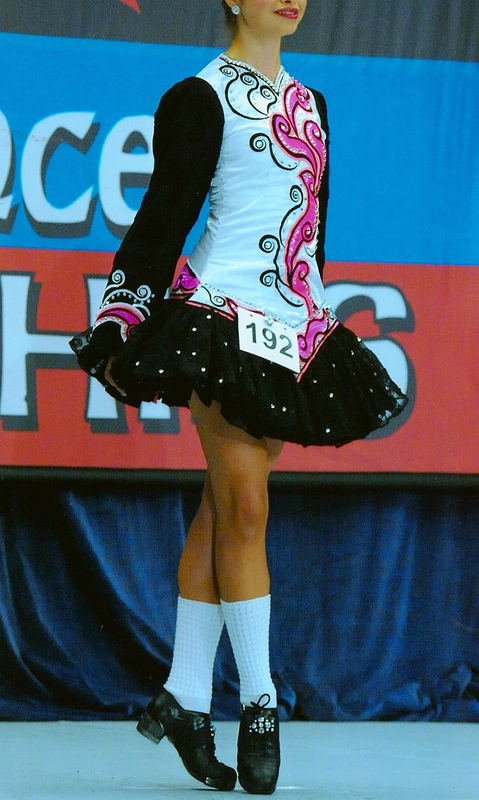 This is a very elegant Michelle Lewis dress made for our championship dancer in January 2012. 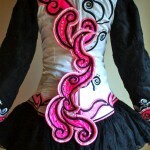 It is like new as she only wore it in 2 competitions. She has decided to no longer compete at this time. 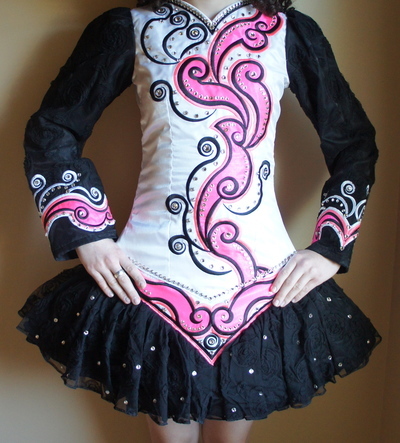 The dress has a white satin bodice with a vibrant pink pattern which carries over onto the sleeves and skirt. These are also satin with a beautiful lace overlay. 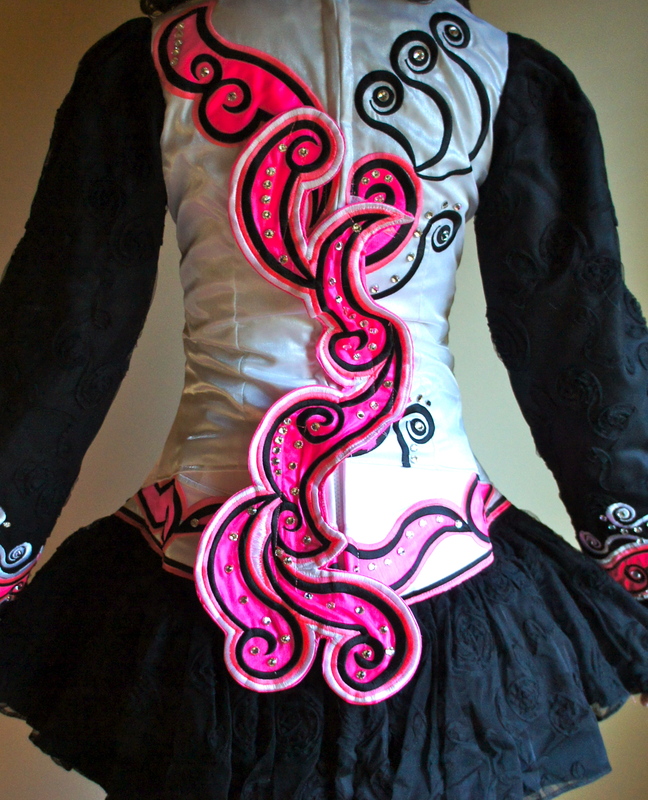 Hundreds of Swarovski crystals have been added. Pink satin bloomers are included. These are the measurements given to the dressmaker when we ordered the dress and it fit her perfectly. There is room for let out. Asking Price: $US1,500. Shipping costs are included for my own country, overseas shipping is extra. Returns are negotiable.